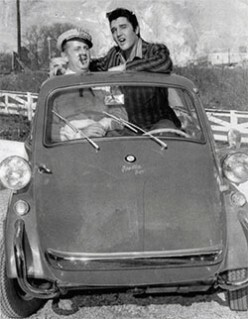 of about 60 miles per gallon. had a R25/3 250cc motorcycle engine, a four speed gearbox, and a top speed of 53 mph. It was only produced for about 8 months. 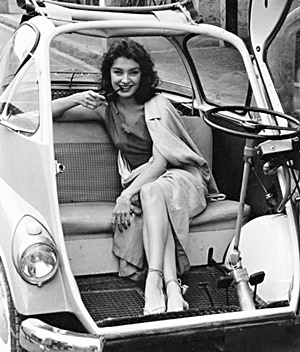 In 1957-1959, the “600” was a larger four seater, with four wheels standard, and an R67 582cc flat twin engine. 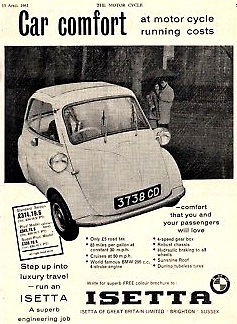 It’s top speed was around 80 mph. …. 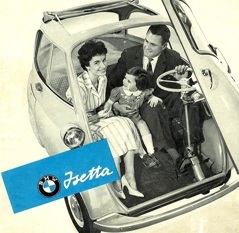 and in 1962, BMW built the last Isetta. I heard a rumor, however…. make a comeback of sorts. 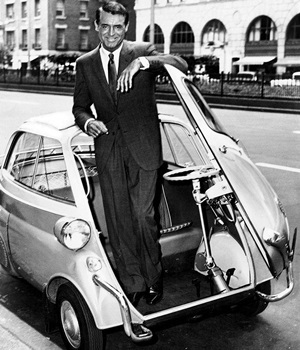 it’s a cool little car. 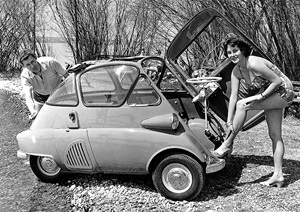 This entry was posted in Automobiles, technology, Uncategorized, Vintage and tagged 1950's, 1960's, BMW, Isetta. Wow! 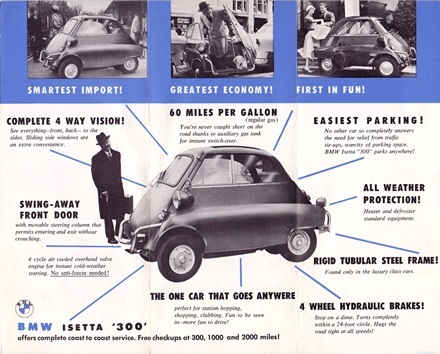 What a wild little car! Never heard of it until now! Thanks for sharing, C! Yes, it’s quite a well done piece of engineering.